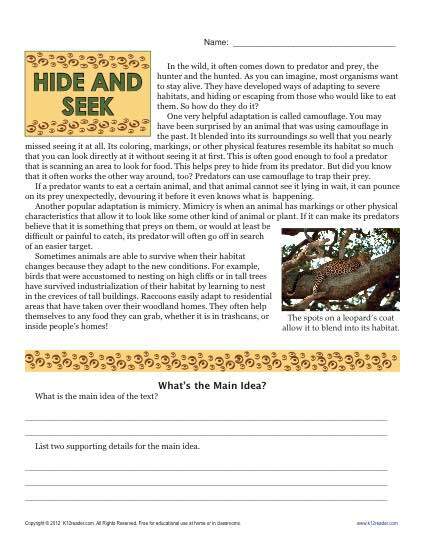 Your student can practice finding the main idea of a passage in this worksheet on the survival adaptations of organisms. It follows the 6th grade Common Core Standards for Key Ideas and Details. It may also be useful for other grades.